Here are pictures of the finished L4B amplifier redesign. 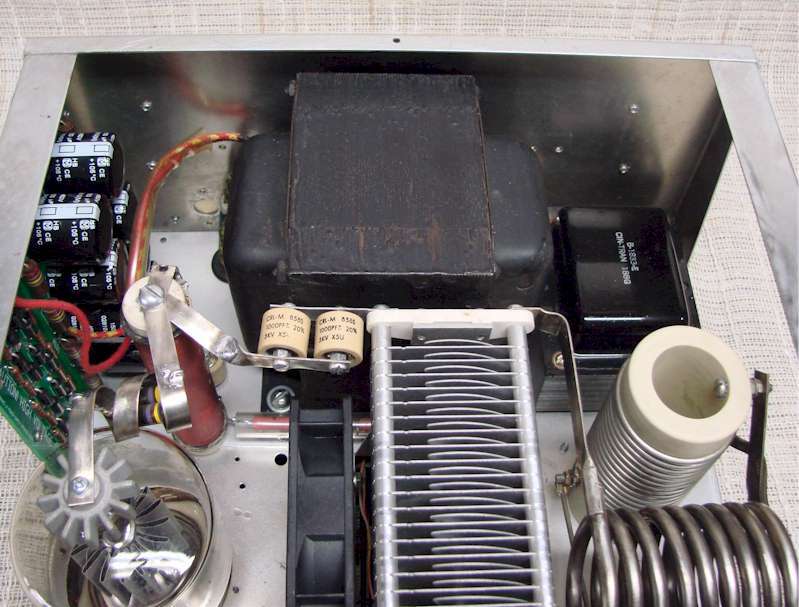 My original goal was to incorporate the high voltage power supply inside the amplifier housing. The biggest change was the elimination of one of the 3-500 final tubes and the large blower to make room for the power transformer. The changes also included adding the Heathkit Shop upgrade power supply board, a larger sealed antenna switching relay, and a regulated low voltage power supply. From the outside the Drake L4B Amplifier looks all original and all the metering and tuning functions operate just like the original version. The only significant difference on the rear panel is the elimination of the high voltage connector, and the large 8 pin connector where the L4PS power supply attached is now the primary input power connector. 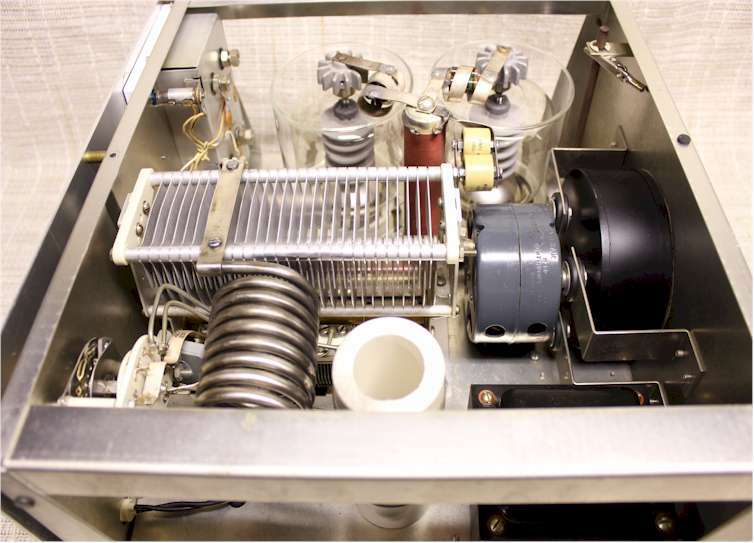 The amplifier will work on either 110VAC or 220VAC with changing jumpers under the chassis for each or the two power transformers. Putting the amplifier on the air the results were just as I was hoping for. Operating with one tube worked fine, I had no problems with loading or tuning up on any of the ham bands. The high voltage transformer from the SB-220 fit perfectly and has about 200 volts more output over the Drake L4PS power supply. On 80 through 20 meters I am getting 750 watts output and on 15 and 10 meters around 600 to 650 watts output. 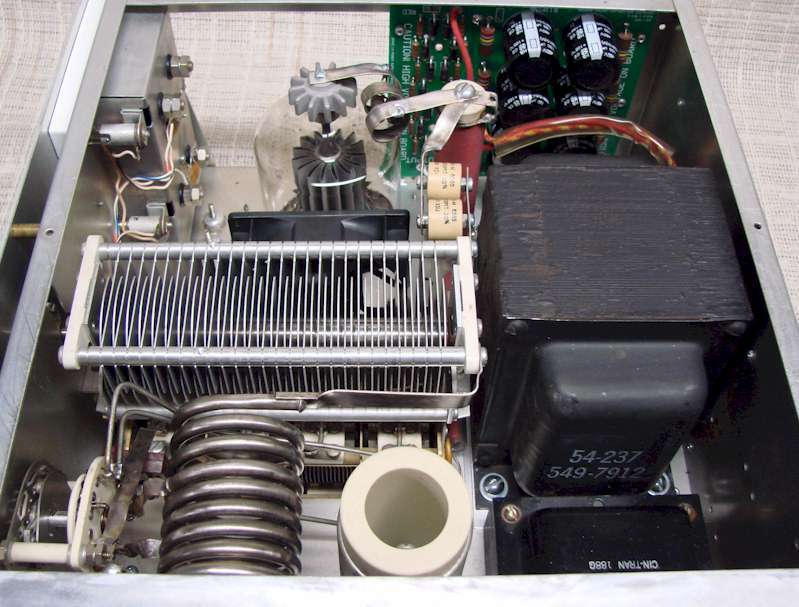 The amplifier has been on the air several times and has worked perfectly with good signal reports. Shown in the pictures below are the completed chassis modifications. The first picture shows the amplifier front, the next three pictures show the inside top view and under chassis view. The last picture at the bottom shows the original L4B chassis layout to compare with the redesigned chassis. Inside Top View of the redesigned Drake L4B Amplifier from two different angles. Inside Bottom View of the redesigned Drake L4B Amplifier . 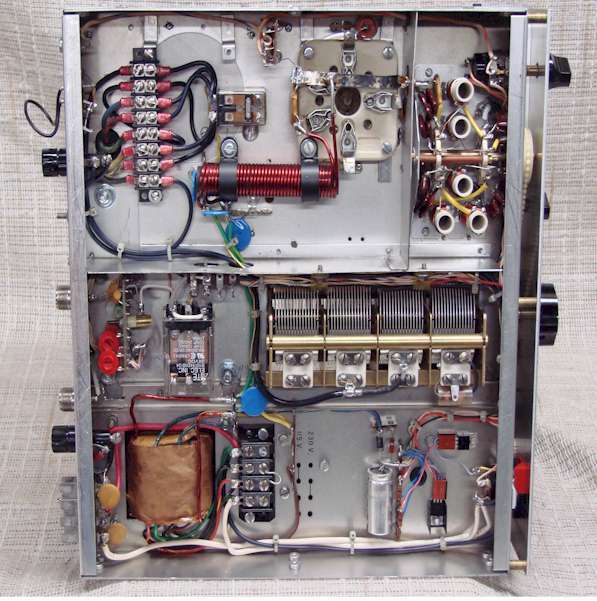 Just for comparison, this picture is the original layout of the Drake L4B amplifier. 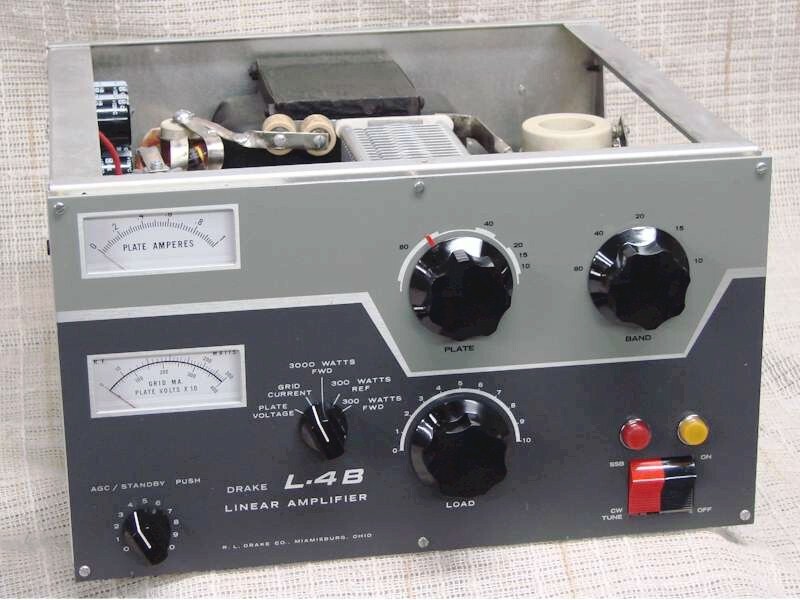 In conclusion, I hope you enjoyed this article as much as I enjoyed designing and building up this modified L4B amplifier. This project started as an idea I had in my head for several years, and during that time I thought about how it would look in the end. Over the last few years I looked for the opportunity to make my dream project a reality. It wasn't until mid 2010 that I came across an L4B chassis that was a parts chassis. As I now look back over the last several months of rebuilding the amplifier I decided it was a "labor of love". It had to be that, and only that, because after I added up all I spent for parts alone, from a financial standpoint I could have bought a new amplifier. Thanks for reading my article. Keep your filaments lit and the tubes glowing strong, it is our heritage and a legacy of love.